When it comes to summer travel, who doesn't love multi-purpose makeup? It takes up so much less space in your bag or suitcase and saves you money too, since you don't have to buy many different products. Even if you're staying home, summer is always a busy time with lots of activities and I don't know about you, but I don't always have the time for my normal makeup routine. I need to simplify things a bit and lately I've been testing out a bunch of new products that totally fit the bill, so I thought I'd round them all up in one post...plus a few old favorites. 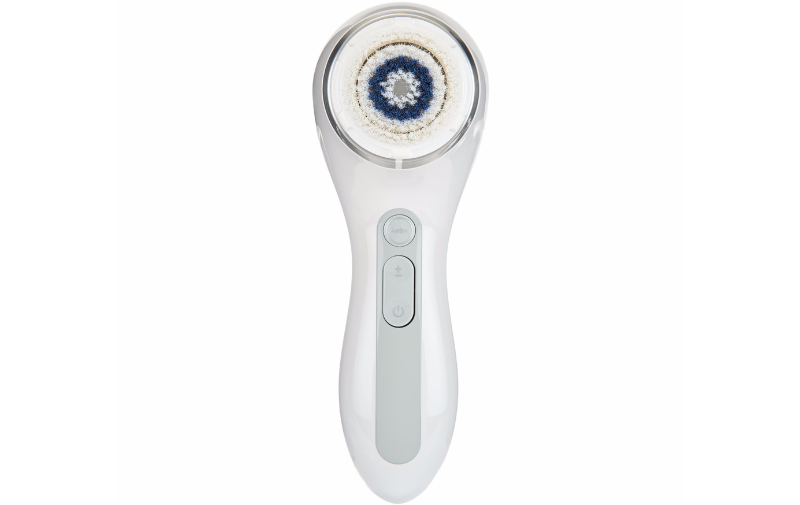 This is the most expensive Clarisonic, but it's definitely a worthwhile investment! I've had mine for about a year and a half and I use it in so many different ways. First, you can use the facial brush head to cleanse your skin, and it also exfoliates too, so if you're traveling you don't have to bring a scrub with you. It also comes with a larger head with stiffer bristles for cleansing your body, which also gives great exfoliation (perfect if you apply self-tanner because it won't leave the oily residue that scrubs leave) and has helped me get rid of those annoying bumps on my arms and legs. Finally, there's a brand new brush head you can purchase separately for buffing in your foundation and cream products so you don't have to bring separate brushes for that. I actually just got mine and will be doing a full review on it soon (it's awesome!). Available at Ulta. You can purchase the Clarisonic Smart Profile at Sephora $299, but I actually got mine at QVC because it's significantly cheaper at only $185 (and you can make 3 payments as well, which is what I did). I'm a big believer in wearing sunscreen but most foundations don't offer high SPF coverage. 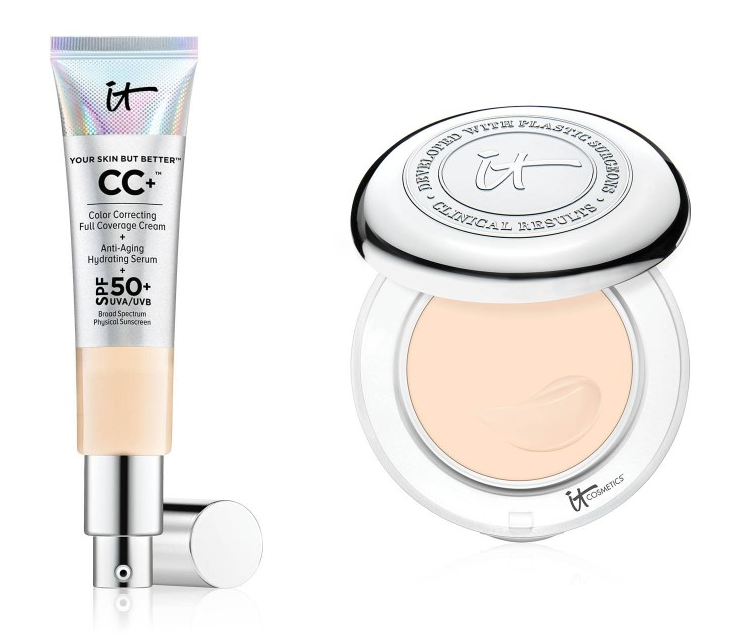 The IT Cosmetics CC+ Cream and Confidence in a Compact CC+ Solid Serum both have broad spectrum SPF 50+ (and it's a physical block, not chemical). They can also function as a moisturizer if your skin isn't too dry (I personally still need a little bit more hydration most days). 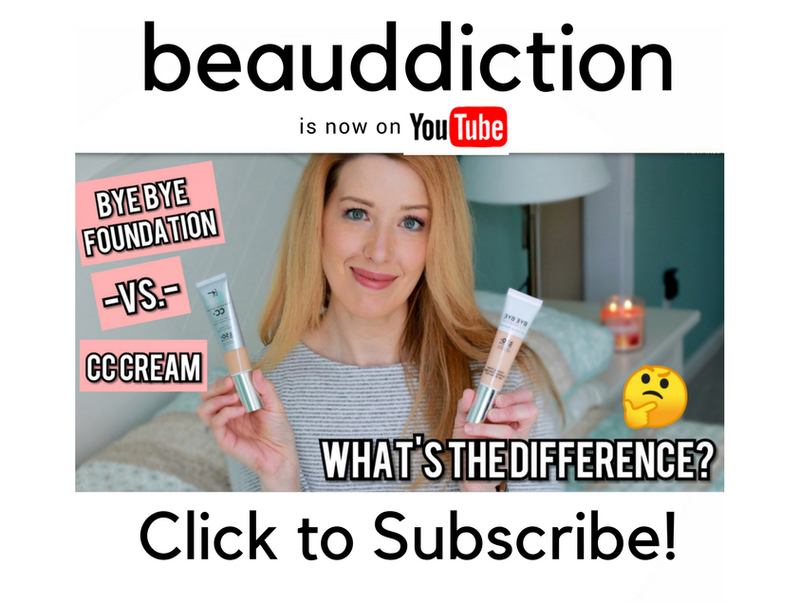 The CC+ Cream is full-coverage if you prefer a more flawless look, while the Solid Serum lets your skin peek through a bit (my favorite in the warmer weather). Available at Ulta Beauty for $38 each...CC+ Cream and CC+ Solid Serum Foundation. I've been really getting into Wander Beauty lately because they have so many dual-purpose products and they perform really well! The Dualist Concealer has become my new favorite...I've been using it every day for the past few weeks. 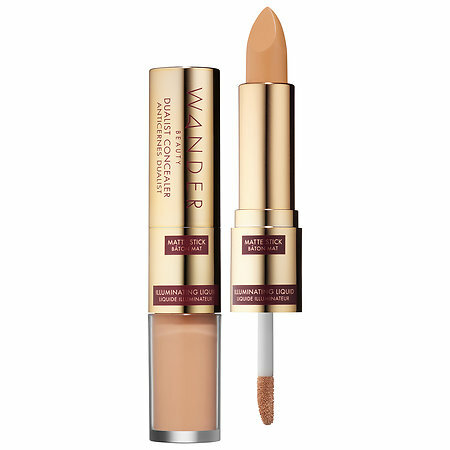 It has a lightweight liquid concealer on one end that's so smooth, hydrating and perfect for under the eyes because it doesn't cake or accentuate fine lines and it brightens beautifully. The other end has a super creamy stick concealer that's more full coverage, so I like to dab it around my nose and mouth to conceal redness and also on blemishes when they pop up. It's a great travel product because you'll always have the coverage you need without having to bring two separate products. 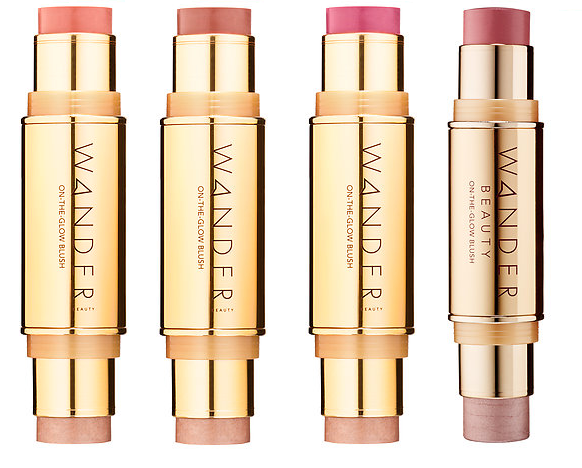 Another awesome option from Wander Beauty is their On-The-Glow Blush & Illuminator Stick. These are a bit pricey but they're also quite large and will last a long time, especially since you only need a little dab on your cheeks. They blend out beautifully and look so natural on the skin...you don't even need a brush, I just use my fingers! The highlighter gives a gorgeous, flattering glow that's not glittery at all and the blushes look like you're flushed from within. These sticks are so easy to toss into your handbag or pack in your makeup bag, and I definitely want to pick up another shade or two. They also have one that's a bronzer and highlighter as well! This palette has been out for a while but it's still my go-to travel palette because it's your entire face minus foundation and concealer! It contains 8 eyeshadows...the top row is your basic neutrals and the second row adds some pops of color. They're so easy to work with and richly pigmented, I was blown away the first time I tried them! You also get the Overexposed setting powder, Photogenic shimmery blush/highlight, and Composition Bronzer as well as a lip gloss, matte lip crayon, and the Fully Charged Mascara (one of my favorites!). I also love using the bronzer as a transition shade on my eyes. 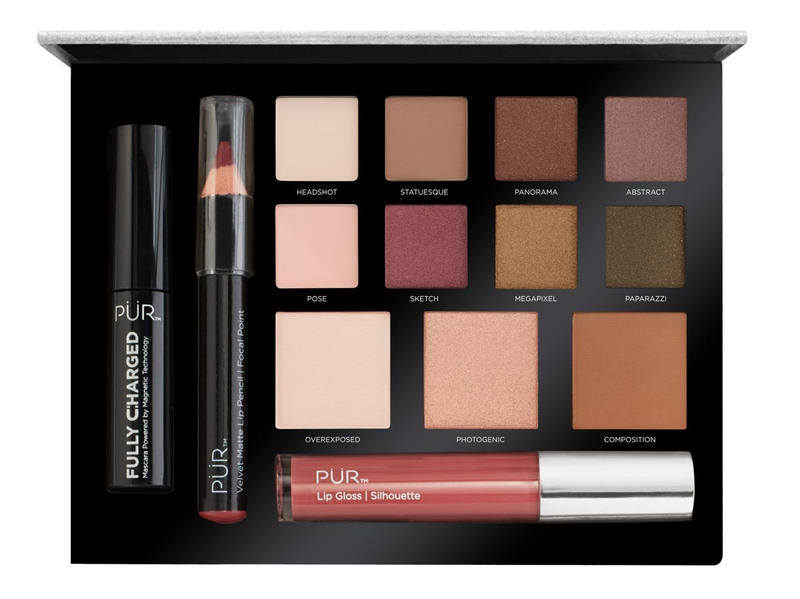 I posted a full review on my old blog here...everything is very high quality and once I tried this, I wanted to try more from Pur because I was so impressed! I'm all about travel-friendly brow pencils and this is my new favorite! 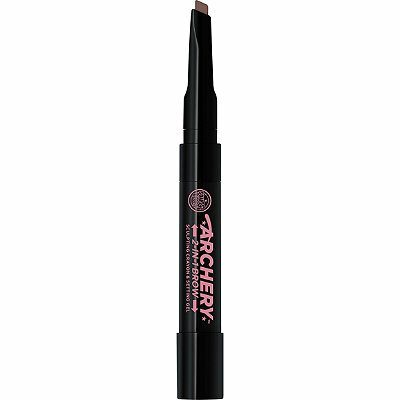 If you like that angled-style brow pencil tip like the Benefit Goof Proof Brow then you'll love the Soap & Glory Archery 2-in-1 Brow. I've been using it every day and all of my other brow pencils have just been sitting in a drawer. It has the pencil on one end and a tinted brow setting gel on the other so I don't need to use multiple products. The pencil is a bit on the stiffer side but I prefer brow products that way because if they're too creamy, they don't last long on me. The setting gel holds everything in place all day, which is key because my brows naturally point down and it takes something pretty strong to keep the hairs pointed up. I also recently just spotted a NYX version at Ulta that also includes a brow filling powder (so that's another option). 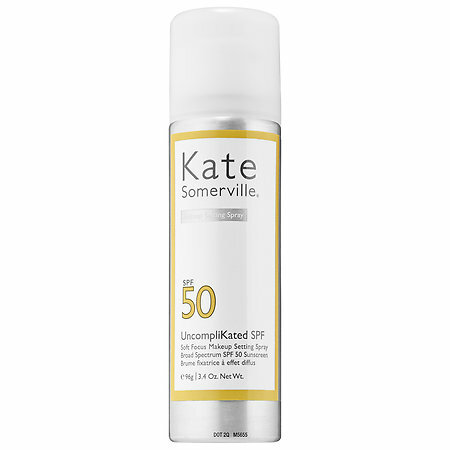 If your favorite foundation doesn't offer SPF or you hate applying sunscreen on top of makeup because it ruins the finish, Kate Somerville UncompliKated is fantastic option! This setting spray has a very fine aerosol mist that sets your makeup, gives broad-spectrum SPF50, and gives your skin a matte finish with a soft focus effect, blurring pores, lines, and wrinkles. It's the ultimate multi-purpose product and I know I'll be using this all summer long! 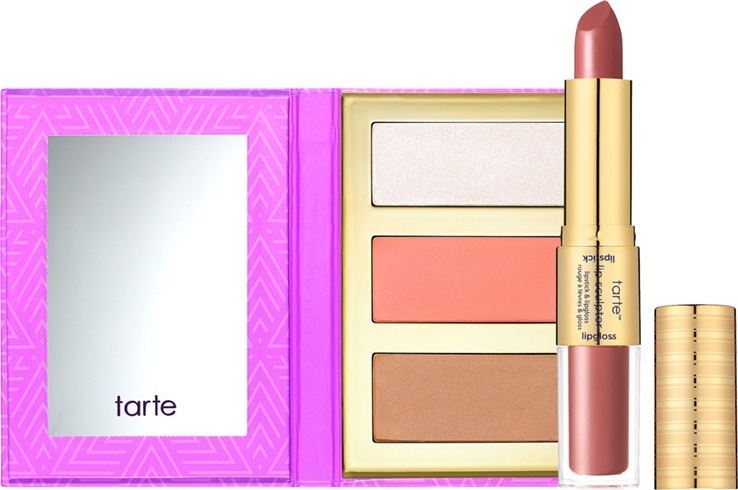 I was first introduced to the Tarte Lip Sculptor when I purchased a kit at Ulta and since then I've purchased a few other shades. 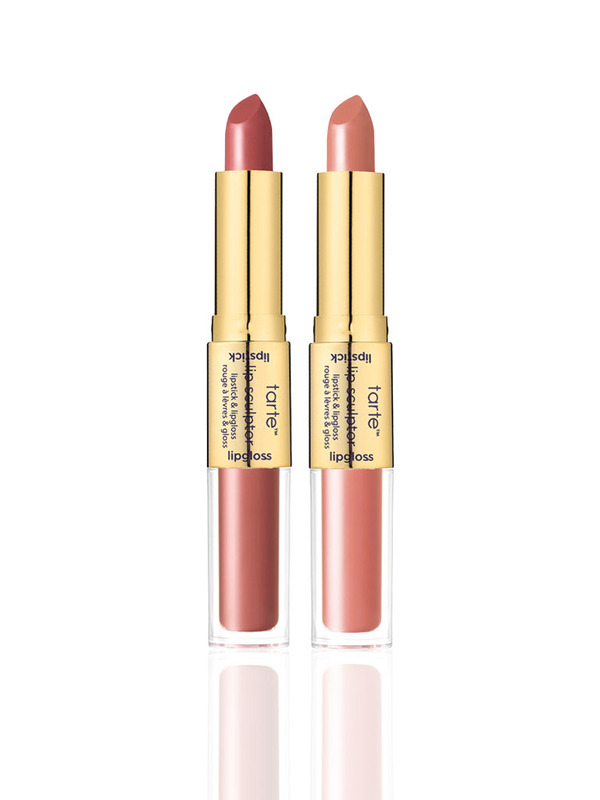 It has the creamiest, most buttery lipstick on one end and a non-sticky coordinating gloss on the other. You can create three different looks with it...you can wear the lipstick by itself, the gloss by itself, or the gloss layered on top of the lipstick. I love these because when I'm on vacation, I often wear gloss during the day when I'm causal and then opt for a lipstick at night and these are so much more portable than taking two separate products. 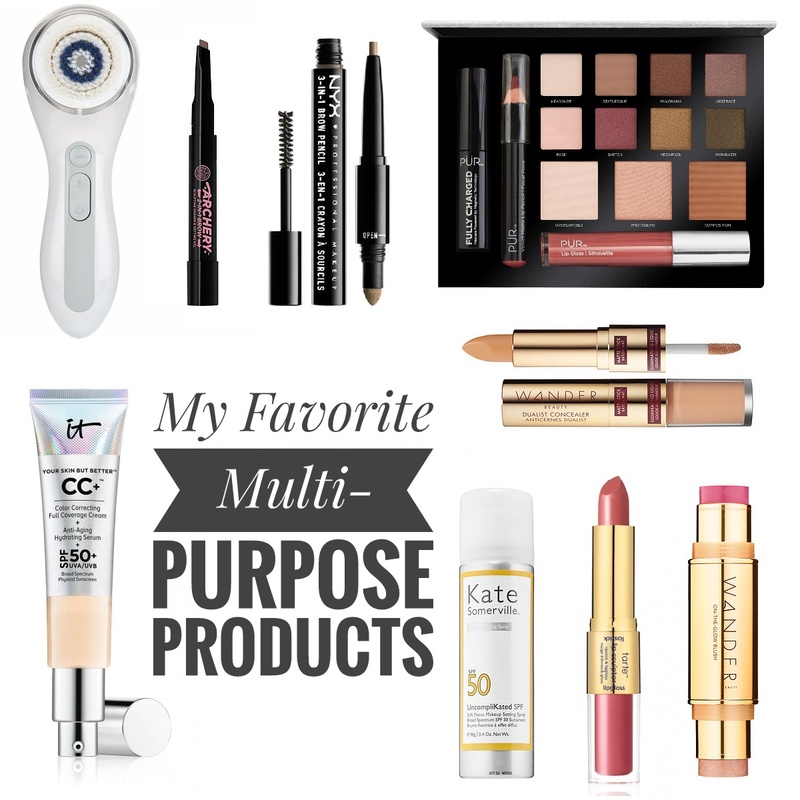 What are your ultimate multi-purpose products? I'd love to hear about them! I am a huge fan of the Makeup Revolution Euphoria palette for travel.